The Smiling Rock is a quasi-narrative constructed around a woman who falls in love with a rock listed on eBay. The rock in question is based on an actual rock listed at $1,000,000. The high price is due to its singularity: it is a geode boasting a clownish smiley face on its polished face. 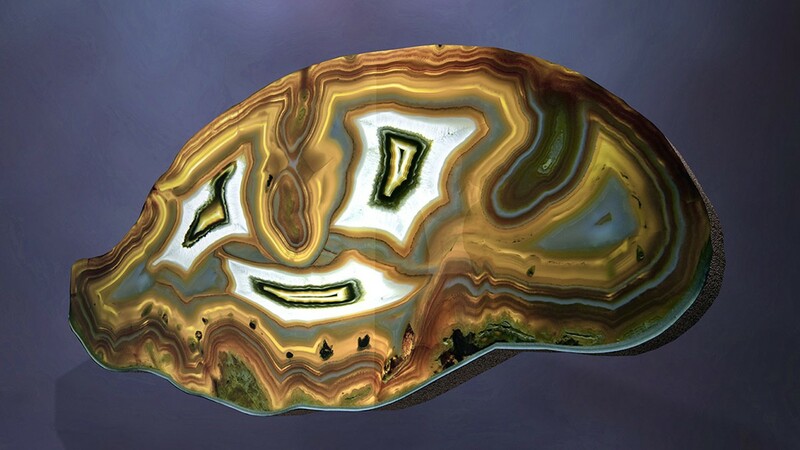 The woman’s interest in the rock grows into an infatuation fueling her bidding fever, which culminates in a virtual objectum sexual relationship. She does not have the means to buy the rock so she can only engage with it online via eBay.